The Allagash experience is not to be missed and can vary from a ten day trip down to a day trip depending on which put-in and take-out points you decide to use, refer to the chart below for access points. 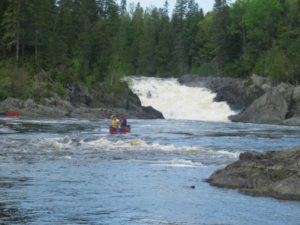 The Waterway from Telos Lake to Allagash village is 92 miles. Delorme map page and map coordinates. Contact us tkick things off. This will be more fun than you think!